Two young adult women voting in a voting booth stock photo from Shutterstock. This year’s Montgomery County general election for county executive has turned into an unexpectedly hot race in a county where 60% of voters are registered Democrats and only 17% are registered Republicans. In recent decades, the winner of the Democratic primary could expect to win the general election, but a split field means that this year’s contest is less predictable and the choice for urbanist-minded voters is less clear. At-large county councilmember Marc Elrich came out of a heavily contested Democratic primary only 77 votes ahead of his closest challenger, businessman David Blair (Greater Greater Washington endorsed another opponent, George Leventhal, in that race). 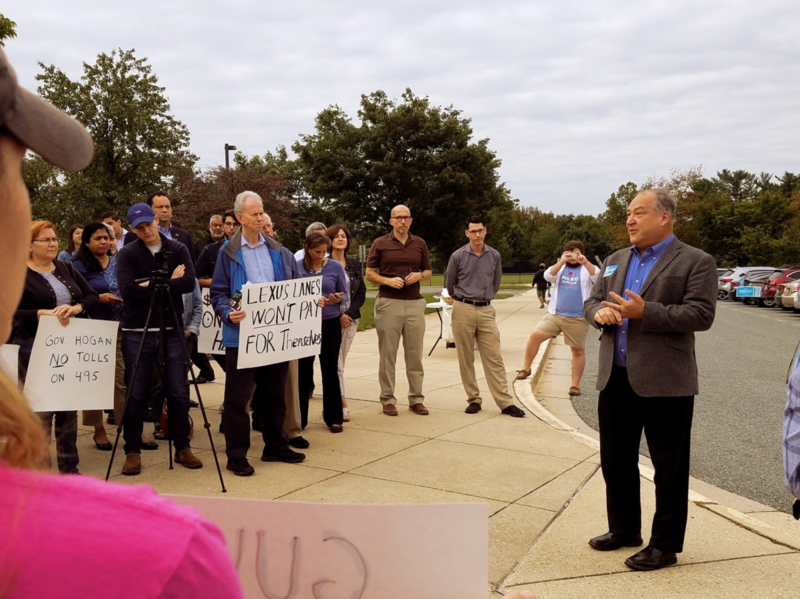 While the Montgomery County Democratic Party and most local Democratic politicians have rallied around Elrich for the general election, his 37,529 primary votes represent the will of less than 5% of eligible voters. 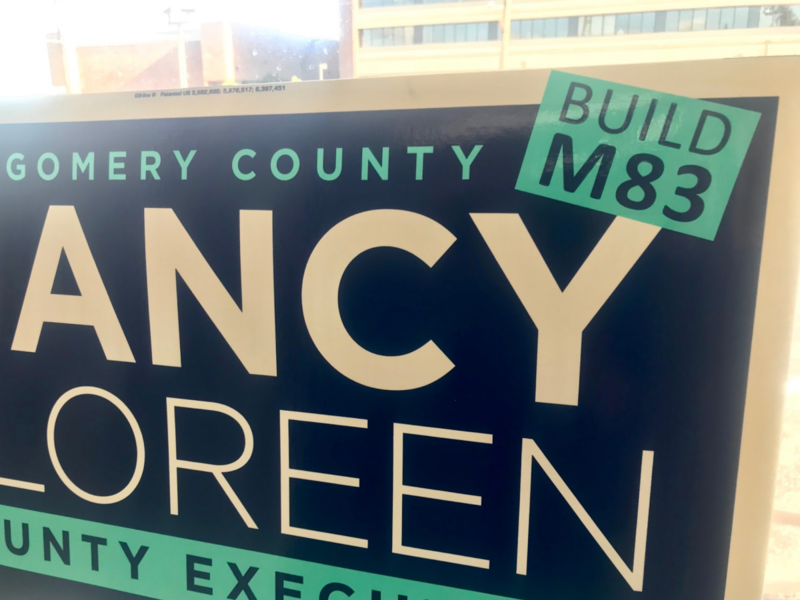 Nancy Floreen, Elrich’s colleague on the county council, threw her hat in the ring shortly after the primary, changing her party affiliation from Democrat to Independent, and successfully gathered over 20,000 petition signatures to get her name on the ballot as a more centrist alternative to Elrich. Frequent candidate, gadfly, and trial lawyer Robin Ficker is also running under the Republican banner. In recent weeks, the candidates have had the chance to make their case to voters at public forums. On September 24, the Sentinel Newspaper hosted a forum in the County Council building in Rockville moderated by The Sentinel’s Brian Karem. On October 1, WAMU’s Kojo Nnamdi and Tom Sherwood moderated another forum for MyMCMedia that also largely covered issues of interest to readers of Greater Greater Washington. Elrich, whose housing policy our elections committee critiqued ahead of the primary, was tasked with convincing voters that he was not actually going to send all our jobs to Frederick, while reassuring his supporters that he was the nemesis of developers. Floreen, who enjoys strong support and fundraising from the business and real estate communities, argued that she would be able to bring together corporate and community groups and get beyond “polarized conversations” to build an inclusive tent. Robin Ficker attempted to piggyback on his successful 2006 and 2016 anti-tax and pro-term limit ballot initiatives. Both Elrich and Ficker are using public financing for their campaigns, while Floreen’s late entry has obligated her to use conventional financing. Elrich said, “Real estate development is different than economic development. Those two things are not the same. We have to deal with the persistent [commercial] vacancies in Montgomery County that don’t require anything but figuring out what’s the strategy for bringing in businesses here.” Elrich cited that the county has 10 million square feet of dispersed empty commercial space which has not been filled for a while, suggesting there is no demand for new space. One of Floreen’s big goals is to build a four-year research university in Montgomery County. She would also bring in new “creative” ideas to promote entrepreneurship and investment in the county, and fill empty commercial spaces. She emphasized that the county needed “to expand the tax base” in order to provide services for residents. Elrich responded that the county needed to look more carefully at how we addressed housing, because the current strategy with MPDUs has not helped most of the people who needed affordable housing. Robin Ficker declared that the recent Kirwan Commission report on school performance and funding in Maryland would result in 100 million dollars being removed from Montgomery County schools to benefit other parts of Maryland. Ficker said that it was imperative to protect the investment of county taxpayers and prevent taxes from going up to compensate. He repeatedly lumped his opponents together in voting with the rest of the council to raise residential taxes, which was done to benefit county public schools. In fact, Ficker’s answer to most questions was to lower taxes of all kinds, both individual and corporate. (Both Floreen and Elrich also pledged to not raise taxes.) Ficker decried what he claimed was slow job growth under the previous administration. He claimed that the need for affordable housing would be mitigated by lowering taxes and bringing in good jobs, so that people would have more money to pay for housing. Marc Elrich speaks for expanding transit and against beltway expansion, September 30 in Four Corners. Marc Elrich has argued he is the more pro-transit and anti-road candidate compared to his opponents. At the forums, he boasted that he was “the leader on bringing Bus Rapid Transit to the county,” and argued that buses were necessary to create a robust transportation network because Metrorail has limited reach. Floreen was clear in her belief in the importance of improving surface roads for vehicle use. She stated that her first priority is to add reversible lanes on I-270, as stipulated in the master plans. I-270 and I-495 are not only local roads, Floreen asserted, but also interstates for use of long distance drivers coming from Boston and as far away as California. Therefore, she thought it imperative that we provide more capacity to our roads. In the MyMCMedia forum, she emphasized that roads are part of infrastructure and that the roads in the master plan needed to be built. That statement is usually taken to refer to M-83, the proposed but unbuilt highway through Montgomery Village to Clarksburg which has not been funded by the county council. Nancy Floreen county executive campaign yard sign. Floreen also stressed the need to be creative about traffic management, and declared that she would create a regional transportation authority to work with adjoining jurisdictions. Ficker promised to bring transportation solutions to up-county, including ensuring that the M-83 highway was put back in the capital budget and built right away. When asked in the Sentinel Newspaper forum about the possibility of splitting the vote, allowing Ficker to win the election, Elrich expressed more concern than Floreen. He said he believes that a combination of Republican and Independent voters could throw the election to Ficker. By contrast, Floreen, defending her entry in the race, dismissed the seriousness of Ficker’s candidacy, mocking him for losing his law license (Ficker was suspended from practicing law in Maryland in 2007 because of ethics violations but was reinstated in 2008). She said that she would not have entered the race if she thought “for an instant” that a Ficker win were possible. Robin Ficker appeared to be enjoying himself at the Sentinal Newspaper forum. He burst in late, bragging that he had just gotten a young black man off a jury trial of all charges. He insisted on standing as he gave his answers, ignoring requests to be seated, and barking out catch phrases that left the audience at times in giggles. Robin Ficker at the 2017 Takoma Park 4th of July Parade. Image by Adam Fagen licensed under Creative Commons. When candidates were asked about how to respond to difficulties facing people of color in Montgomery County, including the unfortunate recent police shooting of an unarmed black man in Silver Spring, Ficker declared that ”During my term in office, we are not going to shoot any people in Montgomery County that are unarmed. I can guarantee you that.” His remarks were met by uncomfortable chuckles. Ficker also mentioned that the best help for people of color would be to repeal a regressive tax on energy instituted by the council. His solution for racial and economic education inequities is language classes in public libraries. Also, he knew Rosa Parks and claimed (in at least two forums) that she would vouch for him. Elrich said he brings “a realistic perspective to this job” and that he would restructure the county government and doubted that we could grow our way out of our problems with development and jobs alone. The choice for urbanist-minded voters — voters who care about growing housing, increasing density, and reducing single occupancy vehicle use — is a difficult one. Our activists are far from united in their views. The Greater Greater Washington election team’s concerns with Marc Elrich are well-known, and we stand by them. Despite his efforts to temper his views, Elrich has a clear track record of opposition to housing and many kinds of change, and his supporters count on that from him. Yet of the three candidates, Elrich is the only one who has been vocal about supporting transit investments over roads for cars. Floreen is to be commended for wanting to bring all voices together and for supporting adding housing supply, which is a necessary part of the county’s future growth. Her thoughts about Montgomery County continuing to be car-dependent and suburban into the future, however, is more concerning. Even if Ficker is to be taken seriously, he too has a history of fighting traffic calming measures and even told Tom Sherwood he would “repeal some of the speed camera taxes in non-school zones.” Ficker is often spotted rallying with housing opposition groups, such as in Westbard, and responded negatively to the suggestion that school boundaries should be changed in order to integrate schools. Some of this decision comes down to a question of whether candidates’ statements in the forums reflect how they will really govern. It’s clear that both Elrich and Floreen are saying some things to appeal to constituencies, and what they would do in office may be somewhat different. We need to look at their records as well as their words. But their words also matter a great deal. In the coming days and weeks, the elections committee will provide more information about the candidates and issues as we aid our readers in better understanding this race. Sanjida Rangwala grew up in Canada and lived in multiple places in the US before landing in Silver Spring with her husband and two cats. She thinks way too much about infrastructure, inclusivity, and why we live the way we do. In her entirely unrelated day job, Sanjida figures out where the genes go in the genomes. What DC Streetcar station is between Union Station and 5th St on the H St/Benning Rd Line? Feel free to ignore station subtitles.